San Miguel California - There's more than just the mission here; this town was once the economic hub of northern San Luis Obispo County. All roads in the area lead to and from it, making it a center for exploration. It has been "down" for a while, but is slowly coming back. Not as vibrant as neighboring Paso Robles, but we'll show you what there is to see and do. A previous Photo of the Week selection. You may notice I've done something a bit different here this week. I'm no artist, but I was looking at this photo while preparing this page on San Miguel California and liked the mix of colors and textures. I ran it through my photo program and made it look as if it were done in watercolor. The mission isn't the only photogenic subject in this town. Most folks who travel Highway 101 pass right through the small San Miguel area on their way north or south and think they haven't missed much. That's all there is in San Miguel"
That little ditty pretty well sums it up for this town in northern San Luis Obispo County. The geographic limitations of the river to the east and the hills to the west of San Miguel prevented it from becoming the hub of the area. 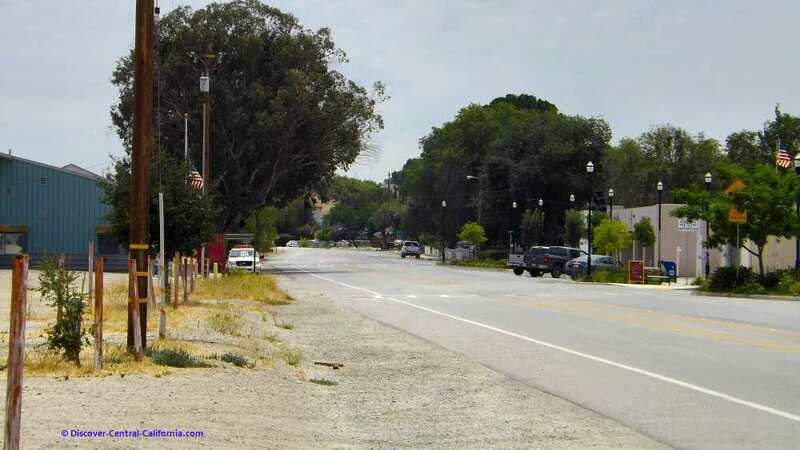 Paso Robles with its larger area for growth is now 10 times the size of little San Miguel. The town started, of course, with the founding of the mission in 1797. It was well sited as numerous canyons from the east and west naturally funnel directly to the town. That made a real difference when transportation was dependent upon the horse. San Miguel's last boom time was during WW2 as it is just south of Camp Roberts, then a major training facility for the army. In the photo above, you can see the past and the future of San Miguel. Mission Street is on the left and the railroad tracks are on the right. 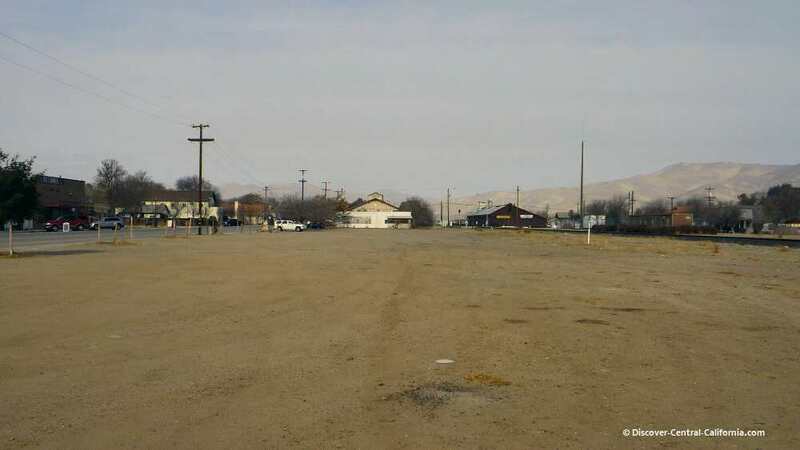 This area was once the home of the train depot and numerous other businesses. As the town grows, it will surely become alive again with commerce. Keep reading and you'll find that there are some things making a visit here worthwhile. There are basically four restaurants in San Miguel - Dos Padres; The Country Diner and the 10th Street Basque Cafe. Dos Padres - Mexican menu, moderate prices, very good food. Humble surroundings, but don't let that put you off. This is our favorite mexican place. Dos Hermanos - A small Mexican eatery at the corner of K and 10th Streets. Good reviews and we hear that the fish tacos are great. 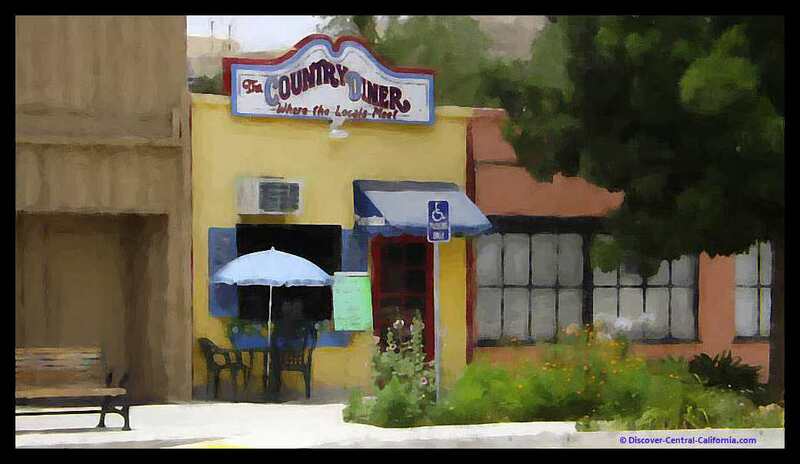 The Country Diner - Haven't eaten here, but it gets good reviews on Yelp and TripAdvisor. I'll have to stop in some time. Let us know if you've eaten here. Add your review to the comments below. 10th Street Basque Cafe - We ate here once, about six years ago. This is a multi-course, chef's choice, group seating restaurant in a small house right off Highway 101. The food was acceptable (three stars out of five), but just off the mark. Perhaps it was a bad night for the cook. One chance for first impressions, as they say. Picnic Areas - There are several nice areas for a picnic in San Miguel. First is the Community Park on K Street and 12th. This is just off the freeway (take the 10th Street exit) but it is surprisingly restful and not noisy. Be sure to check out the historic bell from one of the first schools in town. 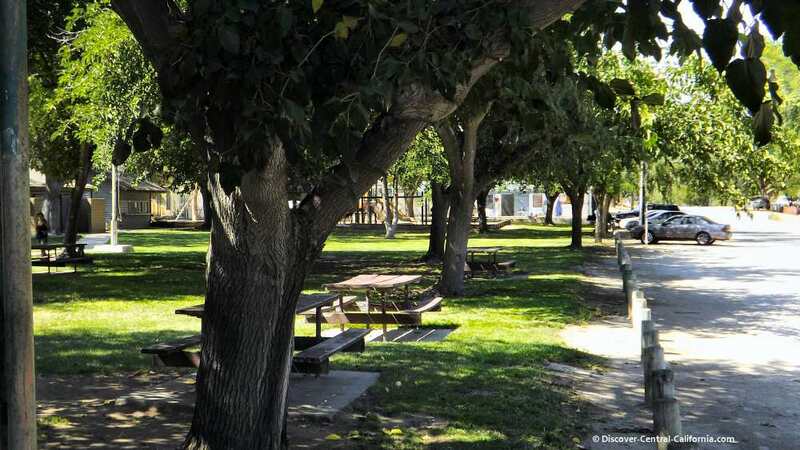 There are picnic facilities at the Rios-Caledonia Adobe. The adobe is open for tours Friday and Saturday, but the picnic area is available during daylight hours. Finally, there is a nice picnic area at Mission San Miguel. So, if you've packed your own the little town of San Miguel provides some nice places for you to eat al fresco. There are no malls, big grocery stores or fashionable boutiques here. There is the San Miguel Mercantile right next to the Post Office on Mission Street. The Mercantile is an eclectic mix of furnishings, rugs, decorative items, heirloom seeds, old books and whatever strikes the owner's fancy that week. We have a number of pieces of furniture purchased from here - good quality and low prices. Miki and Mike will treat you well. Let them know you heard about it here. If you pass through town, the Mercantile is definitely worth a stop. In the town proper there is only one motel, right off the freeway on 10th Street. Low end. Other than that, if you are traveling via trailer or RV, there is a nice, new RV park just south of San Miguel - The Vines RV Park. Just about 2 miles south of San Miguel, right off Highway 101 at Wellsona Road. Lastly, there is a very high end vacation rental just east of town, the Casa de Vina. A beautiful home in a vineyard; this is the best way to stay in San Miguel. Of course, there is the Mission San Miguel which started it all in the area. At the southernmost part of town is the Rios-Caledonia Adobe. Built in the 1830's it has been restored and preserves the area's early secular history. Wineries, etc. : Wine production started with the establishment of the mission, is reflected in many of the names in the area, such as Vineyard Canyon Road and continues today with many acres around San Miguel devoted to wine grape production. To the east of San Miguel you'll find the Pleasant Valley Wine Trail (link opens in a new tab) which will acquaint you with the fine offerings from the area. 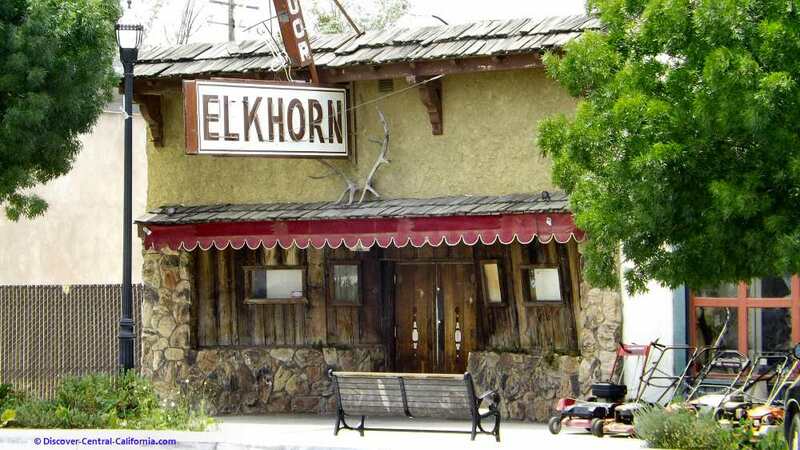 The Elkhorn bar is reputedly the second oldest drinking establishment in the state of California. This place traces back to 1853 and used to be only one of a dozen or so bars in town. Museum: Interesting, yet little known is the Camp Roberts Historical Museum (opens in new tab) that relates the local aspect of military history over the last 100 years. Camp Roberts is just north of San Miguel off Highway 101.